Make Mine Decaf: Hats are very trendy this year. Hats are very trendy this year. My mom is here right now. Kind of. She's a few hours away visiting family and the farm, but she's back tomorrow. She got here late Saturday night thanks to a bird that hit her plane several hours earlier. No word on whether the plane was flying at the time of encounter, but paperwork is paperwork. Mom and I came out to Regina for my Grandpa's 80th birthday almost seven years ago. 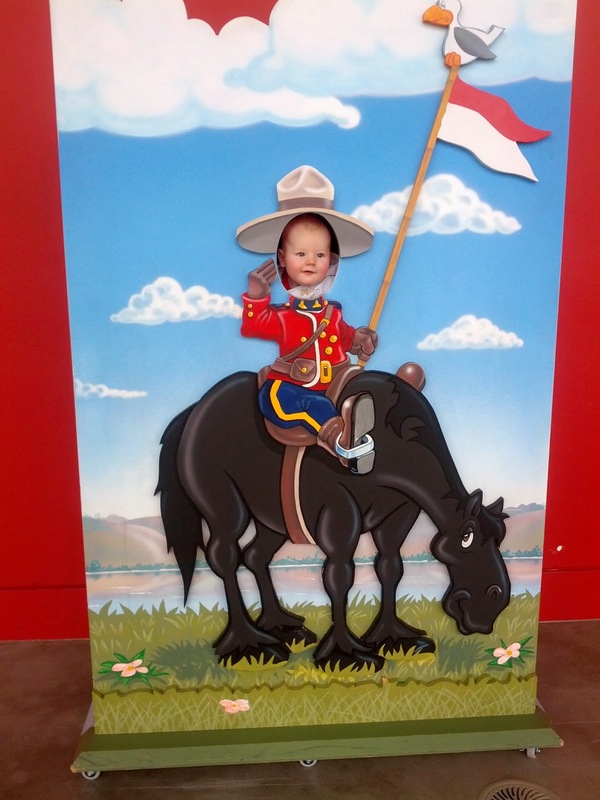 Grandpa wanted top take me to the RCMP museum but I wasn't interested. Later on Mom told me that he'd really wanted to go with me. Grandpa died quite suddenly about nine months later. 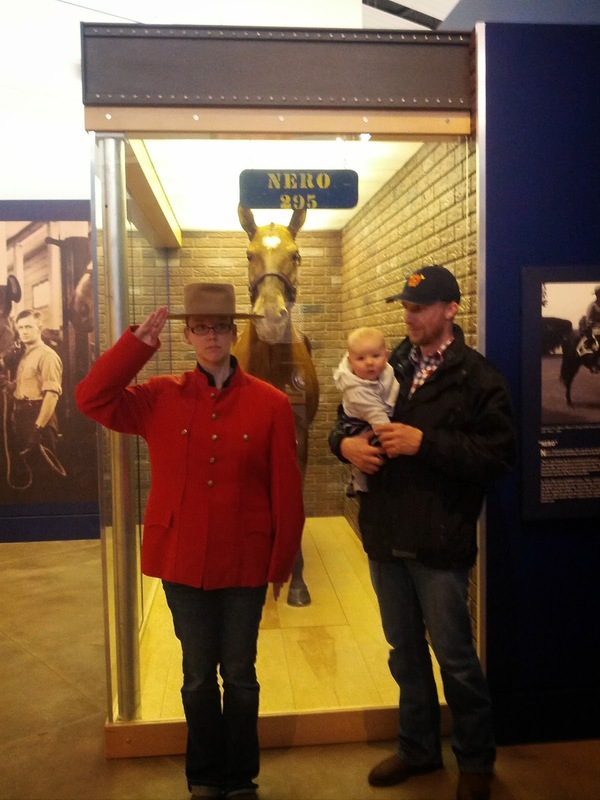 I know it doesn't make any difference now, but when we moved to Regina I wanted to make sure we went to the museum. You know, for Grandpa and to see what the fuss was about. We went over Easter with the Alberta Mortons. So this post has clearly been a long while coming. 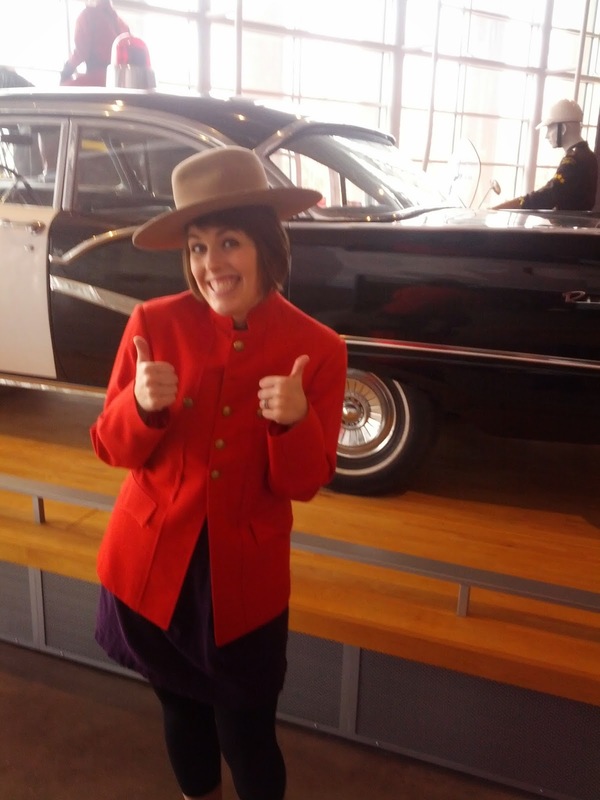 My sister in law is a relatively new Canadian and she has a huge appreciation for museums and Canadian history. 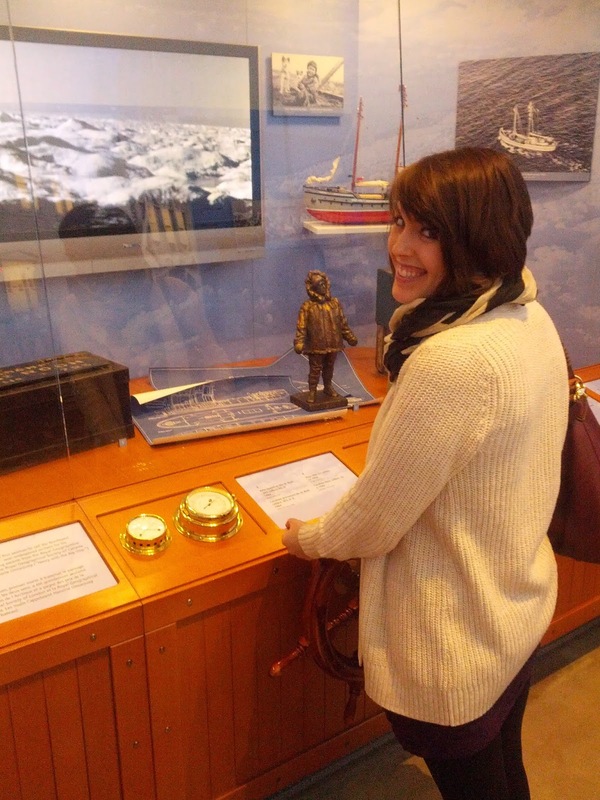 She was a natural choice to accompany us to the museum. And I guess my brother in law was down with it, too. Karl and my nephew came, too. Some unedited cellphone pictures were clearly in order to commemorate the occasion. I can't remember what this nautical steering wheel has to with Mounties, but if it's there I'll steer it. 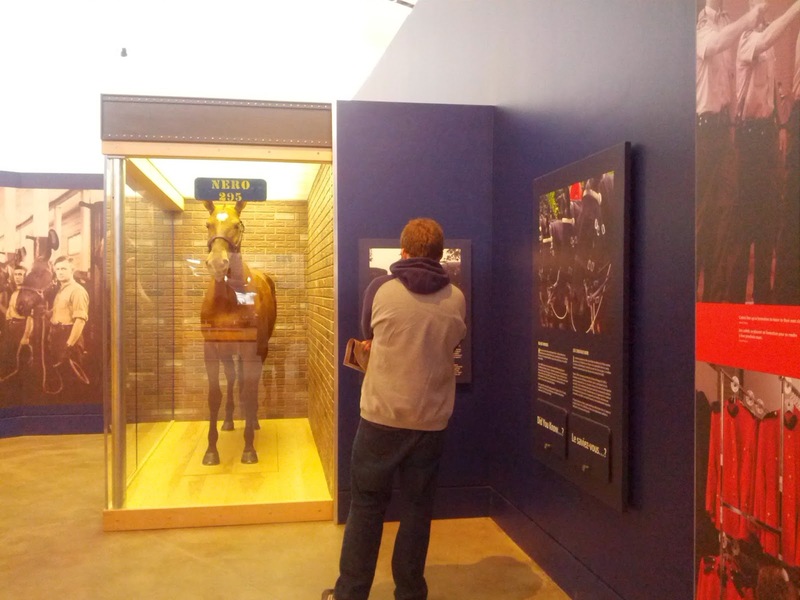 Karl isn't big into history or museums, but this horse wowed all of us. Yes, that's a real horse. 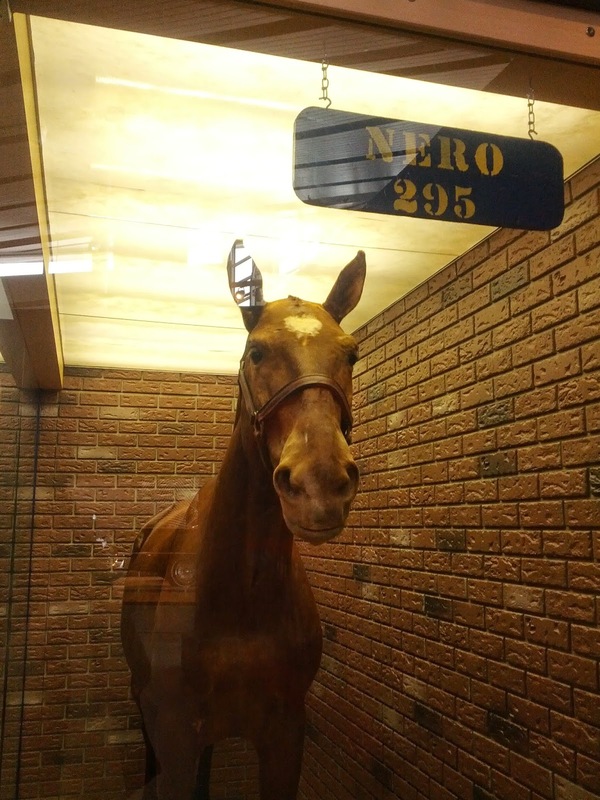 Once upon a time, Nero was a living, breathing, black horse. Now he's a stuffed, standing, brown horse that died at least 50 years ago. Clearly he was a favourite. I took about a million pictures of him. 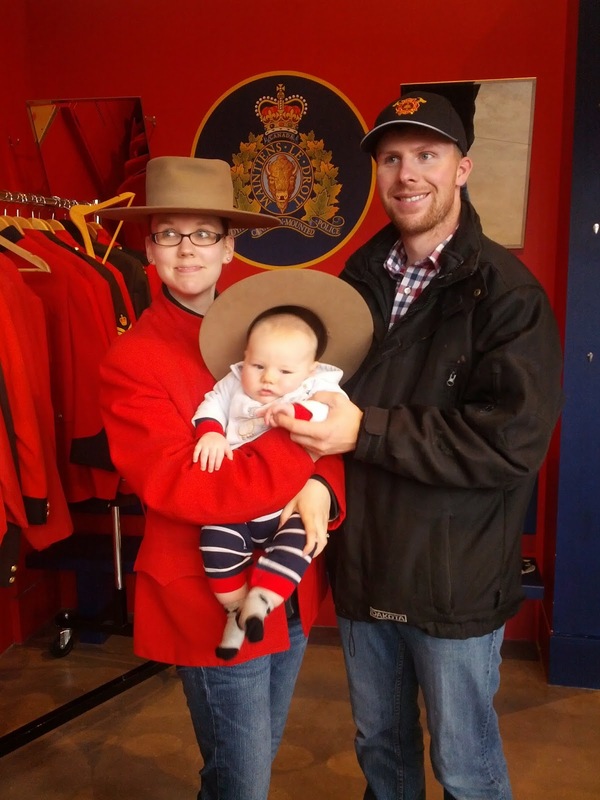 And obviously the best Mountie yet, Mountie Michael. He even has that whimsical look down. 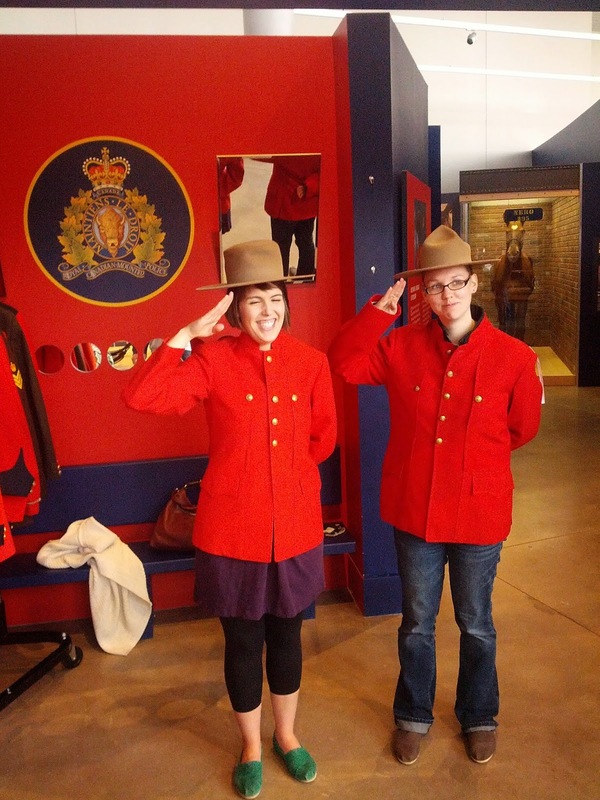 In case you're wondering, I will be changing my career again shortly to enter Depot and become an RCMP officer. I mean, to not enter would be a wasted opportunity. 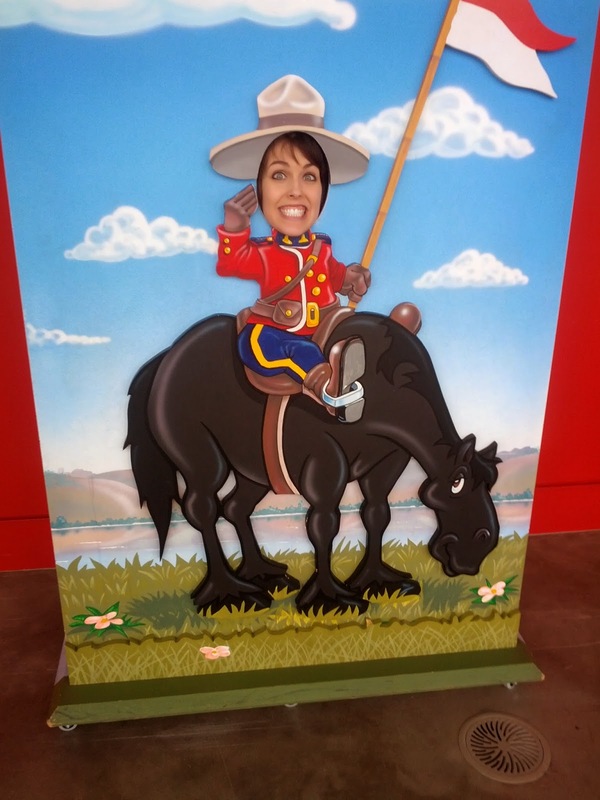 Regina is where all the RCMP in the world get trained, after all. 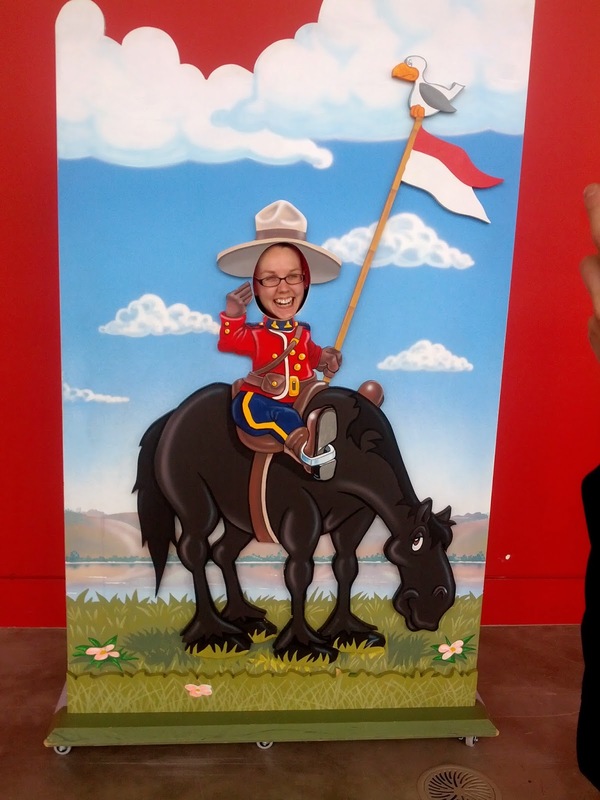 Natalie is also a much better Canadian than I am. 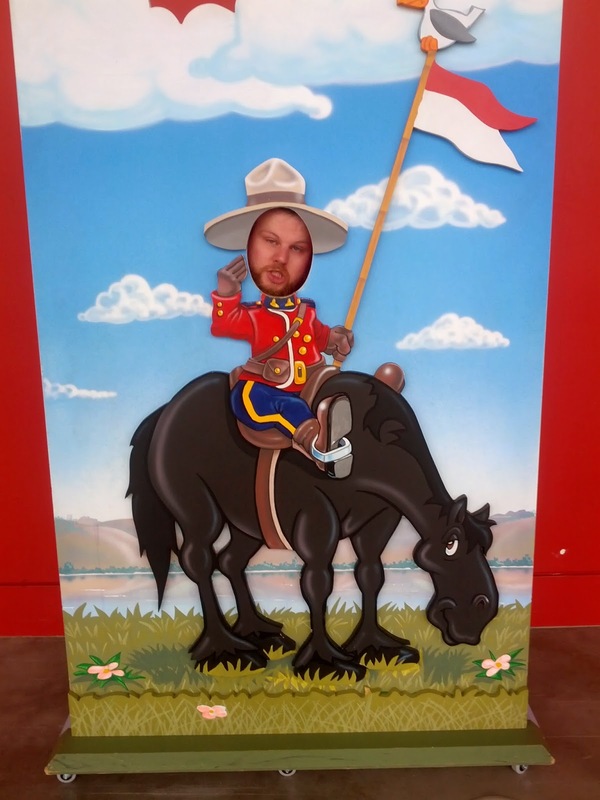 This is the official Mountie pose. Because Canadians are very friendly. Family photos are the best. Especially when they're in uniform. Now that I've shown you the highlights you really have to come visit us to see the rest for yourself. You look pretty darn spiffy in that red coat! That looks like a pretty fun museum - I'm always down for those. If we ever meet in Seattle we must go to the Seattle Art Museum because after all my years living there I never did go there. Have you ever been to that big museum in Victoria? I'm sure you have...I don't remember what it's called or what all they have there, but I remember going there on one of our family vacations as a kid. I think I remember it being really close to the parliament building...I don't know. I was like, 12. Anna, that uniform jacket kind of looks amazing on you!